Superdry men’s Trophy flip flop. Whether you are jetting off on your holidays or want a comfy, casual home shoe, these Trophy flip flops are the one for you. 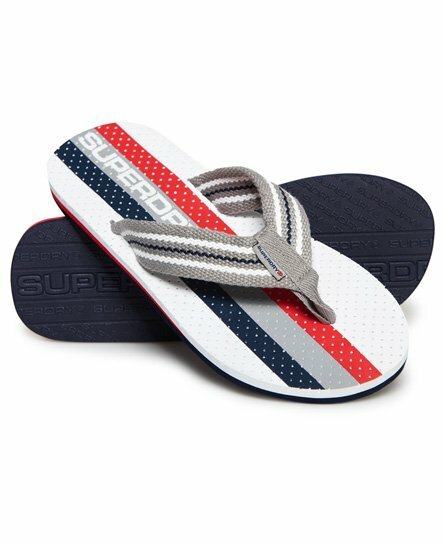 The flip flops feature Superdry branding on the sole and a Superdry tab on the strap. These Trophy flips flops have been finished with a branded lower sole.